2. Fry the mustard seeds and cumin seeds. 3. Add the onions, green chillies and saute till onions are transclucent. 4. Add turmeric powder, ginger garlic paste and salt. 6. Add the brinjals and stir well. 7. Cover the pan with a lid for 2 minutes and add the tomatoes. 9. Simmer till a thick gravy is formed. 12. Serve hot with rice, roti or chapati. 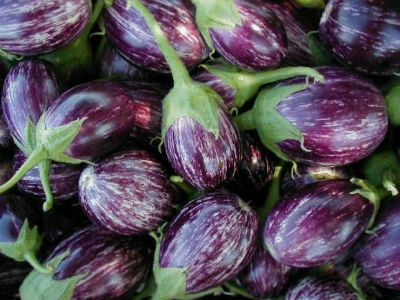 Feel free to comment or share your thoughts on this Tomato Brinjal Curry Recipe from Awesome Cuisine.